Dairy farmers in the Northeast can improve water quality and boost the profitability of their operations by changing the timing and method of applying manure to their fields in the fall, along with planting rye as a cover crop between corn crops—or by double-cropping rye and corn, according to Penn State researchers. In a "three-factor factorial experiment," researchers compared injecting manure into the soil versus broadcasting it on the surface; planting rye as a winter cover crop versus allowing the rye to grow longer in the spring and harvesting it as forage; and applying manure before the cover crop is planted in September—after the harvest of corn for silage—versus waiting until November to apply the manure into the established rye crop. According to lead researcher Rachel Milliron, a master's degree student when the study was conducted, now a Penn State Extension educator specializing in agronomy, the research identified multiple strategies that farmers can use to produce forage with fall manure and protect water quality. She explained that two practices and combinations of the practices consistently rose to the top—harvesting the rye for forage compared to terminating for cover and injecting manure versus surface broadcasting. 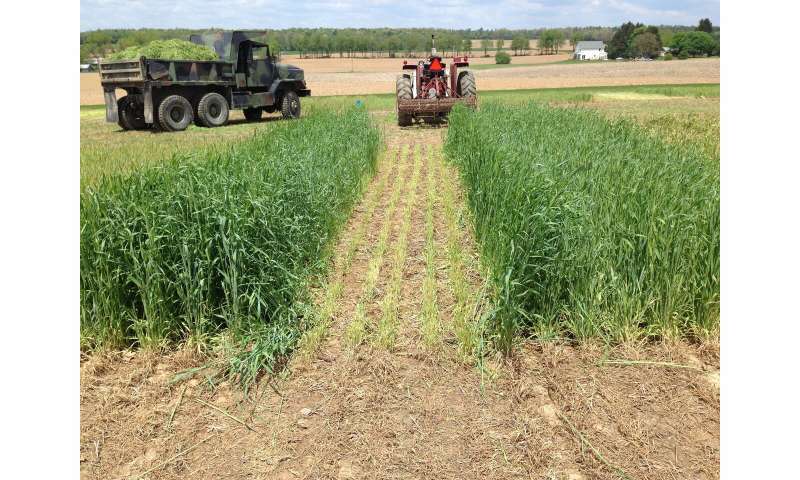 Allowing rye to grow 10 to 11 days longer in spring resulted in three- to four-fold greater rye biomass for forage, and two- to three-fold more manure nitrogen in the rye biomass that is removed in the forage. Despite delayed planting of the subsequent corn crop, the double-crop rye forage/corn silage system also produced more total forage—rye forage and corn silage—than the rye cover/corn silage system when the manure was applied in September. 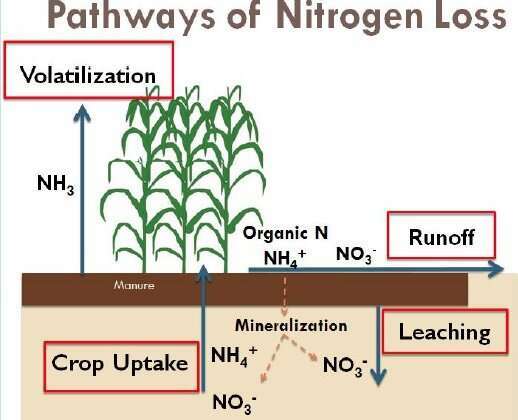 When manure is left on the soil surface, nitrogen can be lost as volatilized ammonia gas, but manure injection can conserve this nitrogen in the soil. The researchers found that injecting manure versus surface broadcasting in September conserved manure nitrogen to produce more subsequent corn silage after a rye cover crop. When the rye was harvested for forage, September manure injection also increased rye forage yield and nitrogen in the rye, and produced more total forage—rye forage and corn silage. However, to make the best-case scenario work, dairy farmers must have access to and be able to afford manure-injection equipment. And—as with all strategies related to farming—weather can foil the best-laid plans for nitrogen conservation, Karsten warned. The double-crop, field-management strategy includes tight windows for farmers to harvest one crop and plant the next one.